Heat a large pan on a medium heat. Once the pan is hot, add 1 tortilla to pan and cook on one side for 30 seconds, flip over and sprinkle with a little cheese on the side that has been cooked, and continue to cook the other side for 30 seconds. Remove tortilla from pan. Fill half the tortilla with ¼ of each the ingredients listed, then fold the tortilla in half. 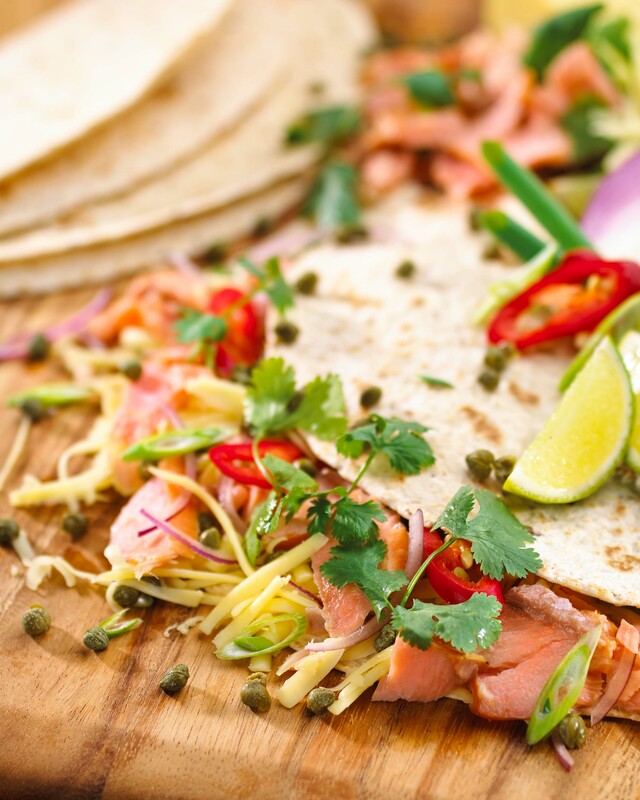 Serve on a board with lime wedges and enjoy.